Register now! First come; first served. 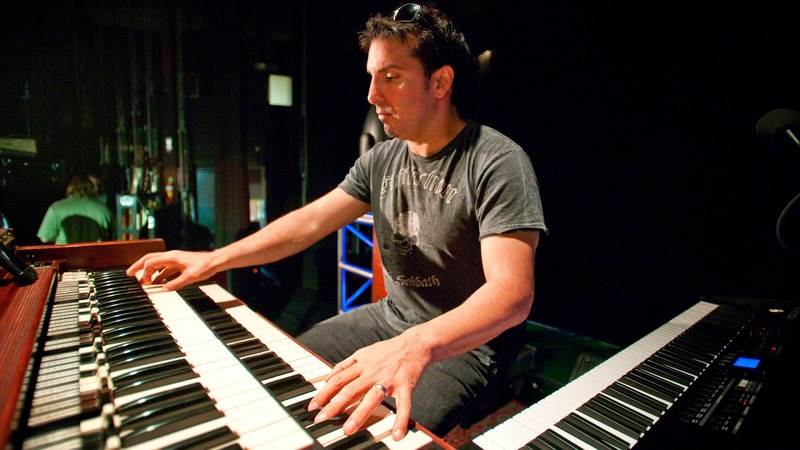 Keyboardist Derek Sherinian added to line up of Carl Palmer’s Prog-Rock Camp!!! 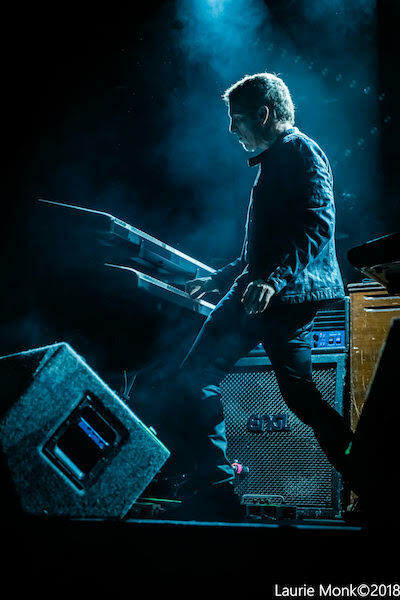 Carl Palmer is excited and proud to announce the addition of keyboard virtuoso Derek Sherinian as a master instructor for the upcoming Carl Palmer's Prog-Rock Camp, to be held Nov 8-10, 2019 at the 2300 Arena in Philadelphia, PA.
Derek was keyboardist for Dream Theater (from 1994-1999, including the final US tour opening for Emerson, Lake & Palmer) and currently is a member of Sons of the Apollo and Black Country Communion. 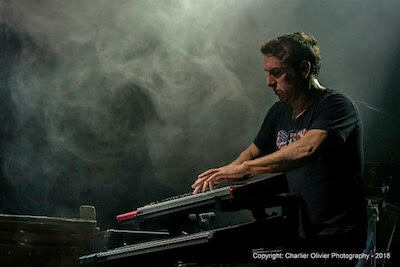 He has also been a touring keyboard player for Alice Cooper, Billy Idol, Kiss and many others. He has recorded over 60 albums including several successful solo albums. 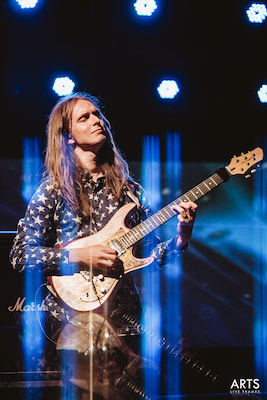 Derek will be giving a special Masterclass for keyboards, as well as some private lessons by appointment at the Palmer Prog-Rock Camp. Register now before this amazing camp is sold out! 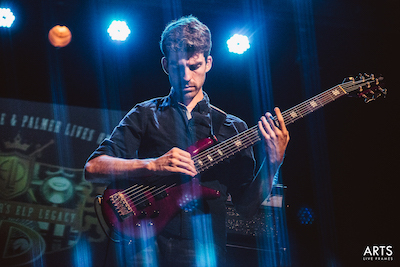 Details at the Prog-Rock Camp main page! A musical learning experience for drummers, guitarists, bassists, keyboardists and vocalists. Perform in One of the Music Camper Prog Bands! 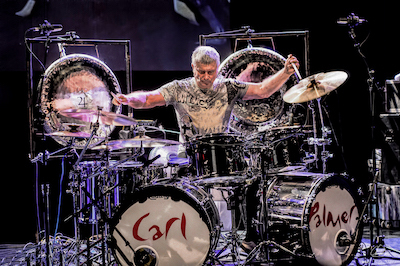 See a Full Carl Palmer's ELP Legacy Concert! Premiere of a Never Before Seen ELP Concert Film! A FULL ELP AND PROG MUSIC EXPERIENCE AND MUCH MORE! ONLY 100 MUSICIANS WILL BE ABLE TO ATTEND! 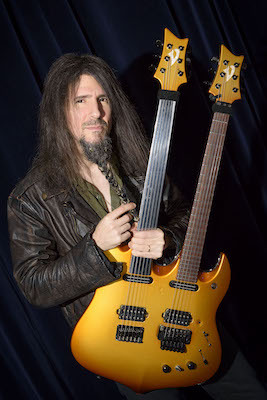 Exclusive Master Classes for Drums, Guitar, Bass Guitar & Chapman Stick; Keyboards, and Voice conducted by Carl Palmer, Paul Bielatowicz, Simon Fitzpatrick, Ron “Bumblefoot” Thal; a special celebrity keyboardist and world class vocal coach to be announced soon! Concert Film, LIVE IN SOUTH AMERICA 1997! PLUS! There will be a special Carl Palmer Art Event; manufacturer’s reps on hand to discuss instruments and equipment, and a special collection of ELP memorabilia! Included in the price will be two nights hotel stay at a nearby three star HOTEL and a FULL BUFFET MEAL each day at the arena. Plus FREE PARKING at the arena and hotel! Hotel shuttle buses will also be available. and end at 3 PM on SUNDAY November 10th. Special “Spouse/ Significant Other” Rate for your companion who can have access to everything except the seminars and master classes for only $375! (must be paired with a full registration camper and will be placed in same hotel room). Only the Carl Palmer ELP Legacy concert on the Saturday evening will be open to the general public. Applications Will Be Avalable Monday, December 3rd at CarlPalmer.com. Only the first 100 Applications will be accepted. Regular Updates and More Special Guests will be posted at www.carlpalmer.com and the official Carl Palmer and ELP Facebook pages! A musical learning experience for drummers, guitarists, bassists, keyboardists and vocalists. Featuring Carl Palmer’s ELP Legacy band And Very Special Guests!! Registration is limited to the first 100 people who register. Masterclasses, Workshops, Performances, and more!